I worked on the big ceiling again this weekend. 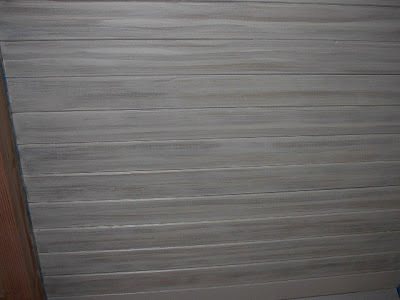 I am painting the 2 by 6 planks to have a driftwood effect with designer colors. 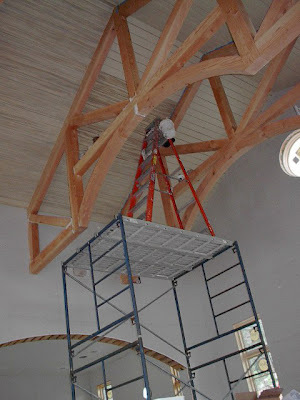 You can see by the picture I have an eight foot ladder set on the scaffolding so I can reach the peak of the ceiling. The reason for using the ladder instead of building up more scaffolding is I need to roll the scaffolding under the four big trusses. Breaking down and building up the scaffoldlng all day would take too much time so its way easier to use a ladder. 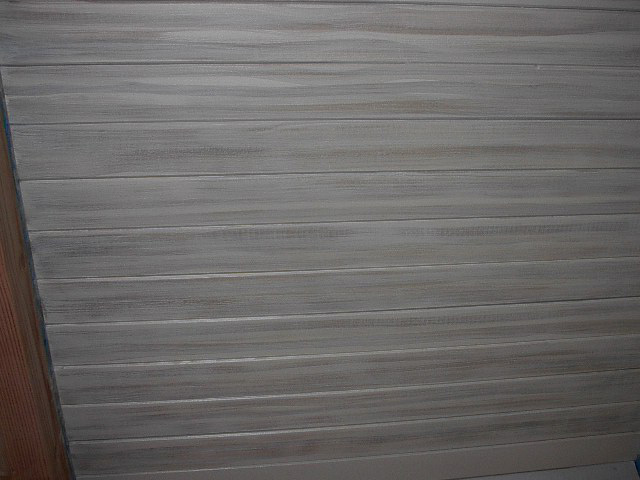 In this picture you can also see the three different stages of the ceiling. Right above the ladder is the plain basecoat with two different colors applied. To the left of the truss is the finished product with 3 colors on. You can also see the ceiling with just the plain basecoat color. 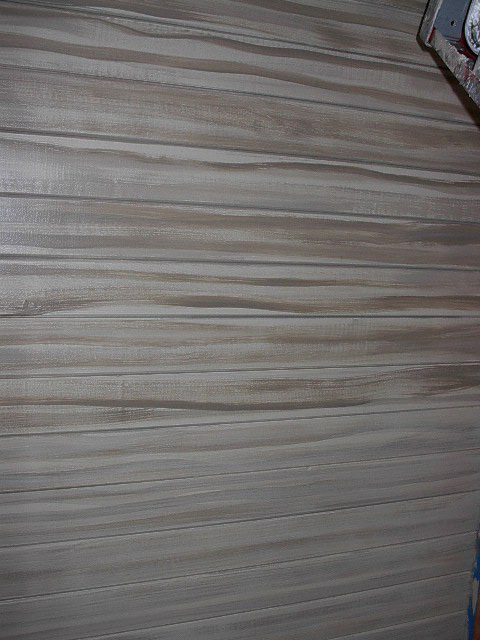 Below is a close-up of the 2 by 6 tongue and grove ceiling planking with the top part of the picture showing the first 2 colors applied and the bottom part of the picture showing the third color applied. Below is the same section as above but the completed look. After I get the entire ceiling painted I will work on the trusses which are going to get a very dark brown aged look. Bob, I wanted to send you a remark on the INCREDIBLE job. You and Cathy are very talented ARTISTS, and I will call on you whenever the opportunity presents iteself.